Take a look at this paper. What kind of information does it tell you? 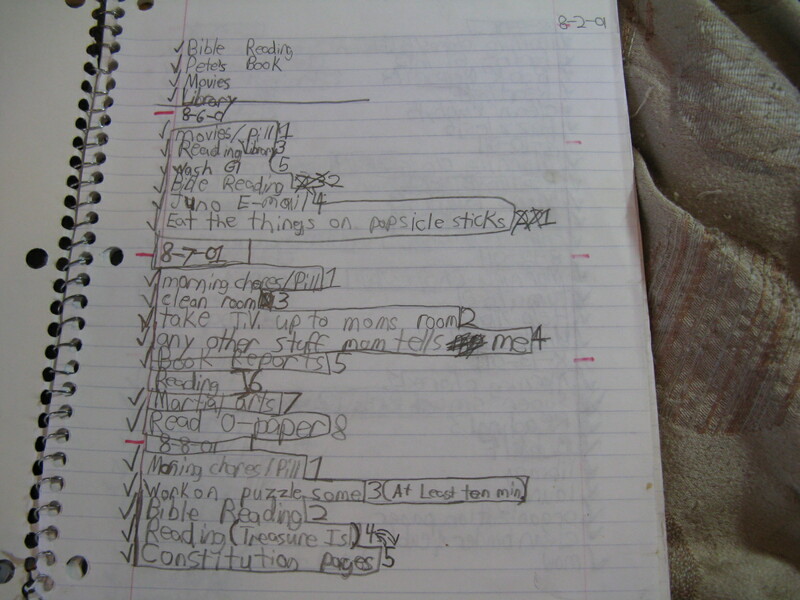 Right off the bat you can see that this child, my son Josh, has difficulty with writing tasks. 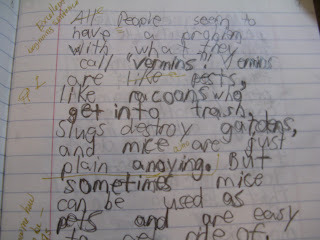 His letters stay on the lines pretty well and he is doing a good job of leaving spaces between words. Margins are still a bit challenging. He remembers to capitalize the first letter at the beginning of a sentence. His spelling needs to develop. But look how hard he is working just to get the ideas out of his head, through his hand and onto his paper. Some of the letters are darker from the force of his pencil on the paper. Others are lighter, indicating an inconsistency in his ability to grade the force of pressure he uses when putting pencil to paper. Sometimes the letters or entire words have been traced multiple times. Why would he trace some letters several times but not others? Could this be indicative of a neurological issue? Is he even aware that he is perseverating on some of the letters? If you could observe him during the process of writing you would see that he does not form the letters consistently from one word to the next. Sometimes his “i” starts at the top and is drawn in a downward motion. Other times he starts on the line and writes with an upward motion. When he is in tracing mode, he might write it both ways several times. Imagine if you were writing and had to stop and think how to form the letters because you didn’t have an established pattern. 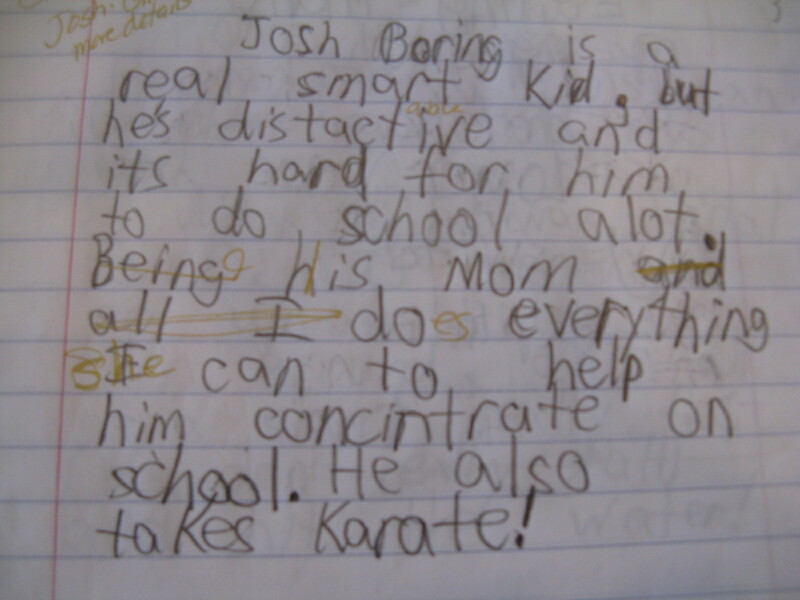 Josh was dealing with multiple challenges just to get a few of his thoughts down on paper. Here’s how I tried to help him. I did some of the Brain Gym activities to help information flow more easily between his right and left brain hemispheres. I had him use mechanical pencils, which kept the degree of sharpness more stable than other types of pencils. He tried different pencil grips to see if they would help his hand to relax so the writing could flow more easily. I made sure Josh had adequate arm support and was using his non-dominant hand to stabilize the paper. He tried writing with a slant board. I wondered if his letter and number tracing could be due to anxiety or OCD, but that was ruled out. Eventually, Josh was able to tell me that he was processing and trying to internally organize himself as he traced. I stopped trying so hard to get him to write in cursive, and decided to be satisfied if he was able to sign his name easily and could write in cursive if it became necessary. 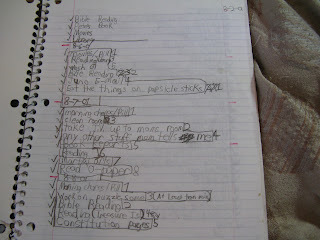 I also wrote him occasional notes in cursive writing to be sure he was able to read them. For the most part, though, we concentrated on printing. 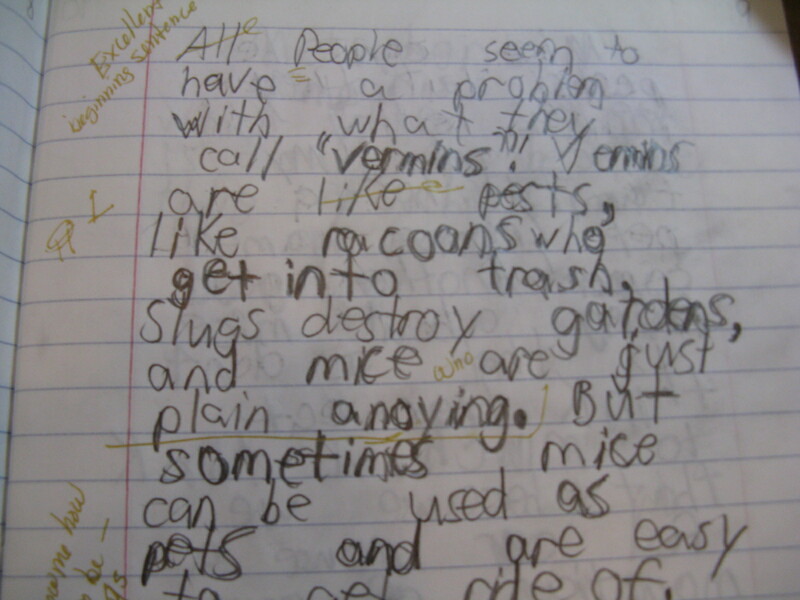 With all of these interventions, I did see improvement in his writing. It became more fluid and automatic, but if he concentrated too much on making his printing very neat his writing became laboriously slow. When I introduced keyboarding, he greatly preferred it to paper and pencil writing. Although I tried multiple typing programs to help Josh learn touch typing, he resisted them all and has his own method of typing. It works for him, and today as a young adult he is a prolific writer. He is planning to start a blog, and I hope to be able to share that with you soon so that you can be encouraged by the growth of this previously-struggling writer.